O Governo sueco vai editar em Maio uma versão atualizada de “Om Kriget Kommer” (E se a guerra chegar), um guia ilustrado com informação prática para a população. O guia é uma “reedição” de um manual enviado pela primeira vez em 1943 e que posteriormente foi utilizado durante a Guerra Fria. A agência sueca para as Contingências Civis, dependente do ministério da Defesa, vai elaborar a brochura, cuja publicação é justificada pelo Governo “devido ao deterioramento das condições de segurança na Europa”, em especial, “nos países que rodeiam a Suécia”, numa alusão às tensões com a Rússia. O guia, cujo título pode ainda ser alterado, pretende aumentar o conhecimento da população sobre como reagir, caso existam situações de crise ou que exijam uma rápida mobilização e faz parte de um plano para reforçar a Defesa Civil, explica a agência sueca, citada pelo Financial Times. “A sociedade precisa de estar preparada para um conflito, e não apenas os militares. Não utilizamos palavras como “defesa total” há mais de 30 anos, o que quer dizer que os conhecimentos da matéria entre os cidadãos são muito fracos”, afirma Christina Andersson, líder do projeto na agência sueca. O guia foi atualizado aos tempos de hoje e tratará temas actuais como as alterações climáticas, o terrorismo ou os ataques cibernéticos: “O foco era só na guerra, mas a sociedade de hoje é completamente distinta e as ameaças são mais complexas. As pessoas têm de ser informadas e saber como reagir”, acrescenta a responsável. A Suécia é um país neutro associado à NATO e alterou a sua política de Defesa nos últimos três anos, intensificando a colaboração com a Aliança Atlântica. Também aumentou consideravelmente o seu orçamento para a Defesa. Entre várias medidas implementadas, destacam-se o envio pela primeira vez desde 2005 de um destacamento permanente para a ilha báltica de Gotland; o restabelecimento do serviço militar obrigatório e um acordo parlamentar para permitir a permanência de tropas da NATO no seu território. Por causa deste acordo, o país nórdico organizou em setembro as maiores manobras militares em 24 anos, com cerca de 20 mil soldados e pessoal civil e 1500 militares dos Estados Unidos, Estónia, Dinamarca, Noruega, Lituânia, França e também a neutra Finlândia. 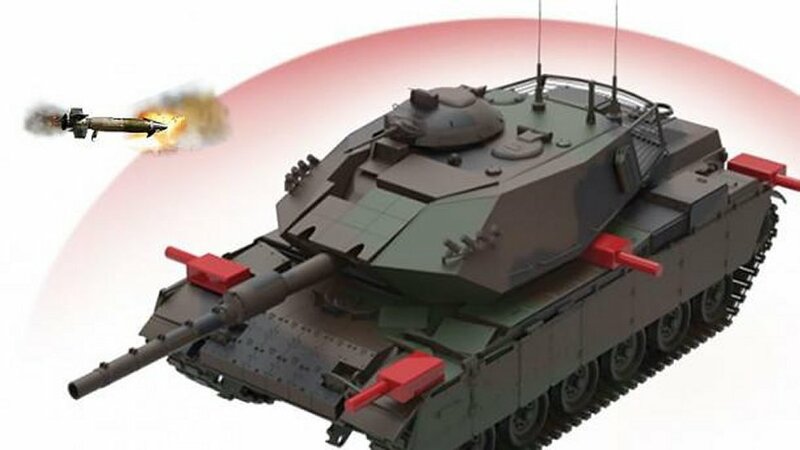 Developed by the Turkish company Aselsan and the country's top scientific body, Scientific and Technological Research Council of Turkey (TÜBİTAK), an active protection system is ready to be retrofitted on Turkish tanks in Afrin. In a share on Twitter, the undersecretary of state for the defense industry, Ismail Demir, said that the active protection system "Akkor Pulat" developed by the Military Electronic Industry (ASELSAN) and the Turkish Institute Research and Scientific and Technological Development (TUBITAK SAGE), had passed the tests successfully. Demir said the active protection system would soon be integrated with the tanks on mission in Afrine in Syria, as part of Operation Olive Branch launched on January 20 to neutralize PKK/KCK/PYD members, YPG and DAESH, as well. Last week, Defense Minister Nurettin Canikli said that around 91% of the weapons the Turkish forces are using in Operation Olive Branch were domestically-produced. PULAT is effective in both asymmetric warfare and operational environment of main battle tanks. It can also handle multiple threats effectively at the same time as a result of its distributed architecture. The system can be adapted to different armored vehicles by altering its modular and distributed system solution. It is aimed at intercepting close-range anti-tank weapons and long-range guided anti-tank missiles by detecting them with high-technology radars at a definite distance. This way, it provides 360 degrees of protection for tanks on the battleground, depending on the placement of the modules on the platform, against anti-tank guided missiles (ATGM) and rockets. 7. Todos os animais são iguais mas alguns são mais iguais que os outros. Em que ficamos, os Turcos desenvolveram ou compraram?! On 22 April, the King’s Own Calgary Regiment unveiled their newest 4x4 armoured vehicle – Textron’s Tactical Armoured Patrol Vehicle (TAPV) – to mark the unit’s regimental anniversary known as St. George’s Day. 500 of the TAPVs will be put into service in the Canadian Forces, with 307 GU (General Utility) variants and 193 outfitted as reconnaissance vehicles. The TAPV programme began in 2009, and in 2012 the contract was awarded to Textron Systems Inc. On August 16, 2016, Textron systems delivered the first units to the Canadian Army. 500 vehicles have been purchased, valued at $603.4 million, and a second contract for their support at $105.4 million to conduct in-service support for the fleet for five years following the last vehicle delivery. The TAPV will replace the reconnaissance role currently carried out by the Coyote reconnaissance vehicles (LAV II), and the patrolling, liaison, and VIP transport roles formerly carried out by the Armoured Patrol Vehicle (RG-31). The TAPV will complement the Light Utility Vehicle Wheeled (G-Wagon). The TAPV is powered by a Cummins QSL diesel engine, which provides 365 horsepower (272 kW), allowing the vehicle a maximum speed of 105 km/h (65 mph), and a maximum range of 644 km (400 miles). The vehicle utilizes an independent suspension axle system originally developed by Irish Timoney, and it has a central tire inflation system to prevent flat tires during combat operations. The TAPV has a V-shaped hull, which provides protection against mine and improvised explosive device (IED) blasts. The vehicle also has a high ground clearance, which increases protection from mine and IED blasts. It can withstand up to 10 kg of explosive force directly under its hull, and can resist even 12.7mm armour-piercing rounds. Each of the seats in the vehicle is blast protected, and the vehicle has vented wheel wells to disperse the energy of an explosion out from the vehicle. The TAPV is slated to have a remote weapons system based on the M151 Protector. The weapon system is called the Dual Remote Weapon System, and can mount both a C6 7.62mm machine gun and either a HK GMG 40 mm automatic grenade launcher or an M2HB 12.7mm heavy machine gun. The vehicle also possesses smoke grenade launchers located throughout the hull that can fire 350 grenades per minute up to one kilometre. Lieutenant-Colonel Christopher Hunt, commanding officer of the King’s Own Calgary Regiment, says that the biggest advantage of having access to the vehicle is that his soldiers will be able to integrate their training with the regular forces. “This allows us to train with a modern armoured fighting vehicle and it’s also used by the regular force, so we are able to integrate for large scale collective training and on operations overseas.” It takes two weeks for soldiers to qualify to drive on these vehicles, after they’ve completed their basic soldier training and a month’s worth of basic armoured crewman training. PS A nova e muito melhorada "Chaimite" lá do sitio . Não se arranja uma versão Porta-Morteiro? Pensaste exactamente o que eu pensei quando compilei a info e as fotos, uma versão Porta morteiros nesta viatura vinha mesmo a calhar, mas, mesmo como viatura de rec era uma boa compra termos uma dúzia deles, mas enfim. e não é que cá está ela a versão porta morteiro !!!! The COMMANDO Select family of armoured vehicles includes four variants: COMMANDO Select armoured personnel carrier (APC) with turret, APC ambulance, 90mm direct fire vehicle and mortar vehicle. The COMMANDO Select mortar indirect fire vehicle, unveiled at the ‘International Defence Exhibition and Conference (IDEX)’ in 2013, is intended to deliver superior firepower from a protected mobile platform. "The mortar vehicle variant is capable of carrying a commander, driver and two mortar crew members." The mortar vehicle variant is capable of carrying a commander, driver and two mortar crew members. The vehicle can fire 120mm mortars through a common mount and stow 82 rounds of high explosive illumination and smoke munitions. The firing elevation of the vehicle is between 45° and 85°. It is capable of firing at an azimuth of 360°. The 90mm direct fire armoured vehicle, introduced at the ‘AUSA Annual Meeting and Exposition 2013’ in Washington, is equipped with a lightweight cockerill CSE 90LP turret from CMI Defence. The two-man weapon system incorporates a cockerill Mk3 90mm low-pressure gun. The turret provides additional firepower and combat support day and night in counter-insurgency and legacy combat operations. The vehicle has a crew of four members, including driver, commander, gunner and loader. 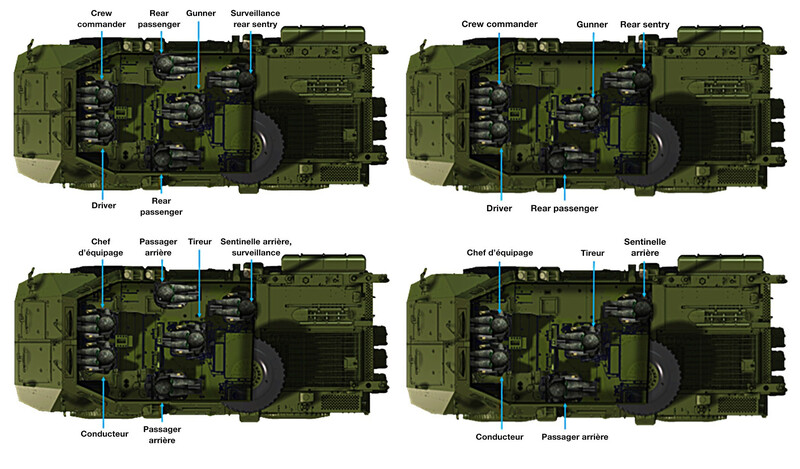 The COMMANDO Select APC with turret can carry three crew members (driver, commander and gunner) and four dismounts. The vehicle accommodates three crew and seven troops when fitted with an objective gunner protection kit (OGPK) or a remote weapon station (RWS). It offers increased security, mobility and endurance. The COMMANDO Select APC ambulance offers protection for medical crew against explosions during the treatment and transport of patients. The vehicle can accommodate three crew, two ambulatory patients and two litter patients. COMMANDO Select vehicles are optionally integrated with mission equipment based on customer specifications. The family also includes additional variants, namely command and control vehicle, engineering vehicle, maintenance vehicle, OGPK and recon vehicle. The European (potential) theatre of operations appears adequate for using a more mobile 105mm howitzer than a towed version. Hence a clever adaptation of the long-serving M119 howitzer, so much appreciated in the U.S. infantry brigades, on a light 4x4 vehicle. So, work is underway to have a Humvee-mounted 105mm M119 Howitzer in the Army’s infantry brigade combat teams. 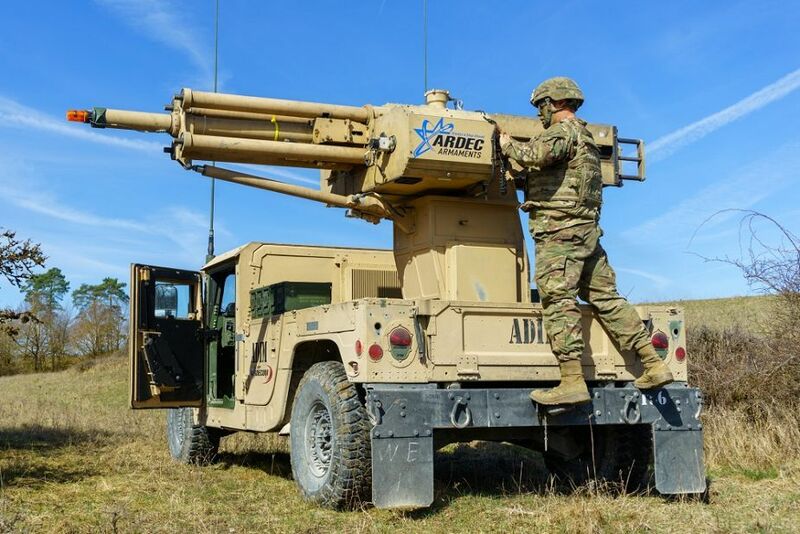 Recent artillery demonstrations during the Maneuver and Fires Integration Experiment at Fort Sill, Oklahoma, drew the interest from the House Armed Services Committee’s subcommittee on Tactical Air and Land Forces. Light artillery within infantry units must by improved. So, to meet this goal, a new self-propelled light howitzer must be further developed, a relevant tool” to face sophisticated, quick-fire counterbattery systems,” according to language in the subcommittee’s draft version of the National Defense Authorization Act, released this week. Adding the artillery could “address the indirect fire capability gaps in the IBCTs,” subcommittee members wrote. The M119 Howitzer has long served as a towed artillery piece but mounting it on a light 4x4 would give troops a way to maneuver more quickly around the battlefield, avoiding artillery counter-fires. It is easily foreseeable that Russian artillery is powerful enough for various scenarios in which NATO forces would be prevented from entering certain battle spaces, should conflict erupt in parts of Europe such as the Baltic region. To that end the Army has also reverted previous infantry units to their armor origins, such as with the 2nd Armored Brigade Combat Team of the 3rd Infantry Division at Fort Stewart, Georgia. The ABCT served as an armored brigade in the 2003 Iraq invasion but transitioned to an infantry brigade following drawdowns. It has since reconstituted itself as an armor brigade. Moves such as these in recent years have all been aimed at a potential mechanized ground fight in Europe. 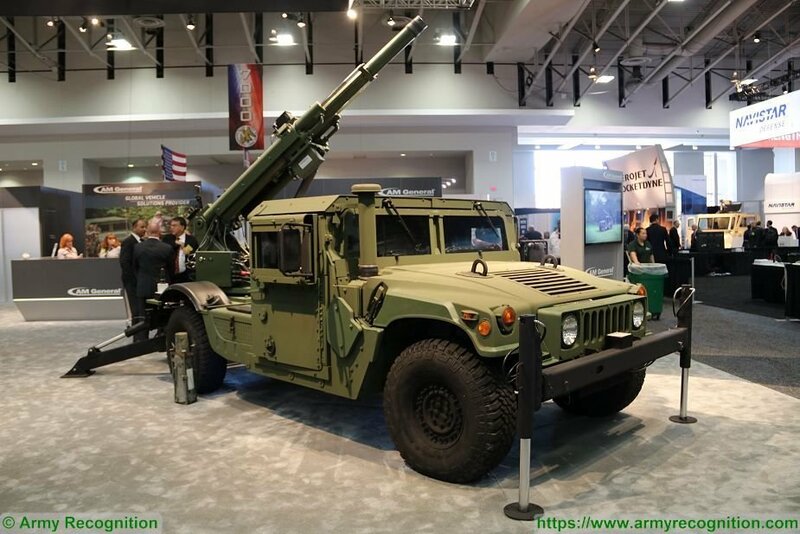 105mm howitzers mounted on highly mobile 4x4 vehicles like Humvees that are available by the thousands, be it to refurbish from storage areas like the old Avengers are, appears to be a very attractive and cost-efficient solution. Eis uma solução barateca para a Brigada de Intervenção. Imagino um Unimog com esta engenhoca, seria fantástico! In April 2016, U.S. Army Soldiers assigned to the 2nd Armored Brigade Combat Team, 1st Infantry Division have demonstrated the automated mortar system Automated Direct/Indirect Mortar (ADIM) mounted on HUMVEE tactical vehicle during a multinational joint equipment training exercise with the U.S. military at Grafenwoehr Training Area, Germany, as part of a Robotic Complex Breach Concept demonstration. 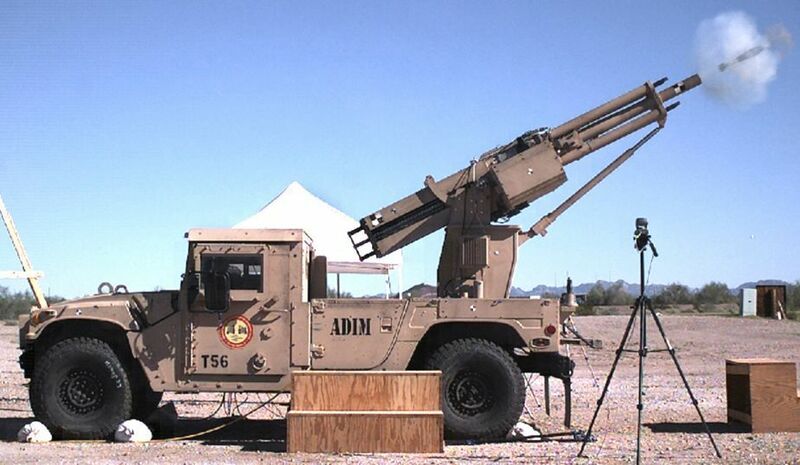 The ADIM, currently an 81mm mortar weapon system, uses "soft recoil" to reduce the firing loads transmitted to the platform by a factor of eight, well within the limits of the HMMWV (or other light tactical vehicles) capacity. 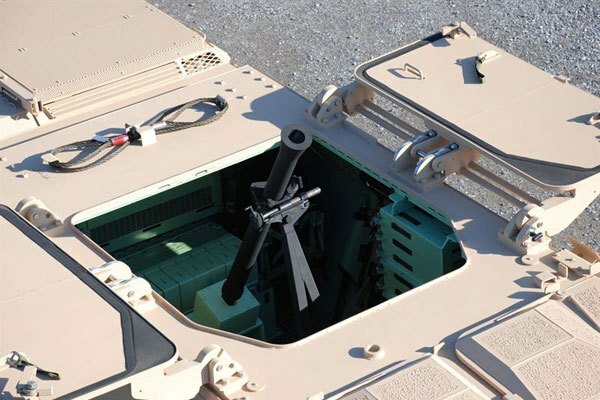 This enables mounted firing and supports rapid mobile operations. An associated benefit of the soft recoil system is the ability to fire the weapon (direct) at low quadrant elevations (QE) as well as (indirect) at high QE to either compensate for terrain interferences or take advantage of the reduced time of flight associated with low QE firing solutions. ADIM functions are automated so that operations normally conducted manually by the Soldier can instead be executed via electro-mechanical actuators controlled by the weapon Actuator Control System (ACS), which was also developed by Picatinny engineers and is a government owned technology. ACS operation is directed by the Automated Fire Control System -- Mortar (AFCS-M) which is an enhanced version of the fielded M95 Mortar Fire Control System (MFCS). The AFCS-M provides the human interface for controlling the loading/unloading, emplacing, aiming and firing of the ADIM. A key capability associated with the AFCS-M is the incorporation of an inertial navigation unit and GPS receiver, which enable full-time emplacement of the ADIM and thus eliminate the long setup and reset times of several minutes associated with traditional surveying and aiming stake methods. The ACS and AFCS-M combination enables rapid execution of mobile "shoot and scoot" operations to reduce Soldier exposure to enemy fire and susceptibility to counter-fire. AFCS-M also provides the ability to operate the ADIM via remote control as an unmanned weapon system operated by Soldiers in a protected (Fire Direction Center) location. An ideal application for this is Forward Operating Base (FOB) protection. Although the ADIM can be fired remotely, it is designed to require a Soldier to identify the target and make the decision to fire as prescribed in DoD Directive 3000.09 Autonomy in Weapon Systems. ADIM automation and Fire Control reduces the Soldier burden while increasing survivability.